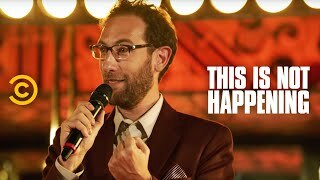 Ari Shaffir was raised as a religious, Orthodox Jew. He attended orthodox Jewish school, lived in a religious community, and lived in a Jewish seminary in Israel (known as a Yeshiva) for 2 years. Once he returned to America, Ari lost his religion, realizing he was, and probably always had been, an atheist. For the next two decades, he came to terms with the religious upbringing and thoughts that are rooted deeply within him. And now, 20 years later, he's finally ready to talk about Judaism from both an insider perspective who knows more than almost anyone about the religion, and also from an outsider perspective as someone who has no allegiance to the teachings.